Moving interstate is an easy process for interstate moving companies. DLM Removals & Storage have years of experience moving home and office furniture from A to B. Using experienced and trained removalists to move from state to state or city or city. Covering all of Queensland, New South Wales, Victoria, Australian Capital Territory, Tasmania and the Northern Territory. For more than two decades. DLM Removals & Storage have utilized their experience at handling furniture and goods from packing and loading to unloading. Moving interstate around Australia can be stressful if you haven't planned and organised every step of the way. Including proper packing using effective packing materials. Unloading and loading of goods onto the truck. Then of course there is the handling of goods at both ends. 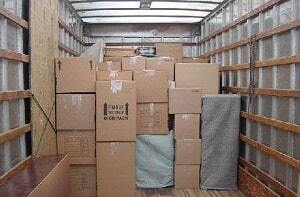 Interstate Australian moves are done properly through DLM Removals & Storage. We have a track record that spans back nearly two decades. Having moved well over 31,000 customers both locally and interstate! From the staff in the office to the Australian interstate movers that are hired to take care of the interstate transportation of goods and ensure a safe and secure load from point A to point B. Interstate Backloading basically means you only pay for the amount of room you require on one of our larger interstate trucks. Interstate Backloading is an awesome way for you to save time and dollars because hiring your own truck will cost more. Plus, the time you need to get your goods from point A to point B. Whether you live in Queensland, New South Wales, Victoria, Northern Territory, Tasmania or Australian Capital Territory. DLM Removals & Storage have a fleet of trucks traveling interstate through each of these states. Ensuring your pick up destination and delivery destination are covered. Moving interstate Australia with a fleet of trucks proudly owned by DLM Removals & Storage. 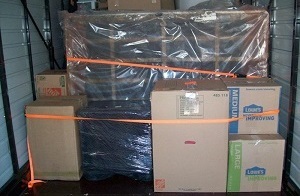 We have an affordable and reliable way for you're to move furniture interstate around Australia. We understand distances. We understand furniture. That is why when we move your goods we like to ensure your goods will deliver on time and in one piece. All furniture is wrapped using high end thread count blankets and loaded in a manner that keeps furniture secure for the interstate move.